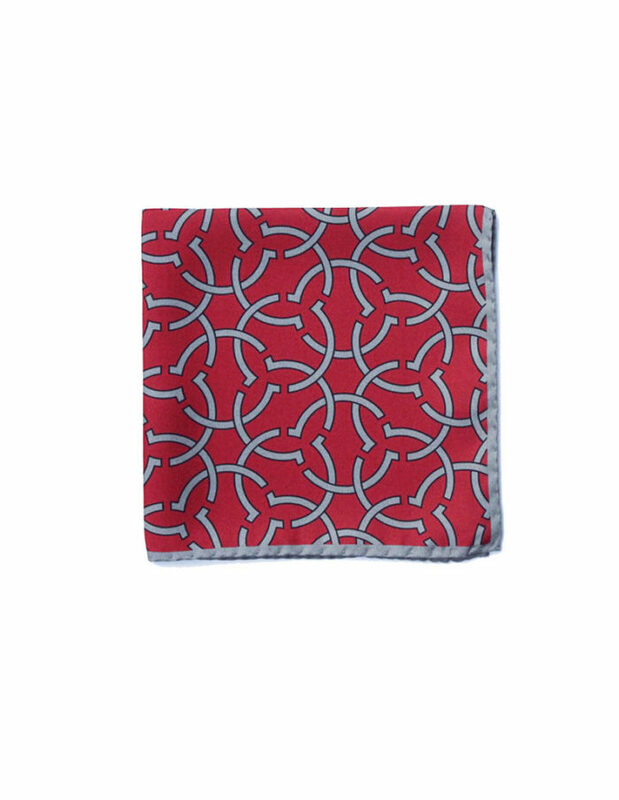 Geometric pattern and subtle colours of grey and iron red of this pocket square is perfect for a gentle touch to a suit or blazer. The iron red borders and uniform pattern allow this pocket square to be worn many ways. Show off the main motif in puff fold or reverse puff fold, both ways will make you stand out for your choice of style accessory.